This paper takes a point of departure in how IoT - the Internet of Things - is increasingly described as the next step forward for digitalization. As a background to this trend I describe how a great number of applied research projects and development efforts has been conducted to address various specific needs. Further, I argue in this paper that there is still a lack of a stable knowledge base – including developed theories and methods - for working across physical and digital materials in the design of IoT solutions. Motivated by this identified lack of methods this paper presents a theoretical and empirical ground for the development of a material-centered approach to the design of IoT systems. The proposed method is focused on material interactions as an approach for working across physical and digital materials in design. 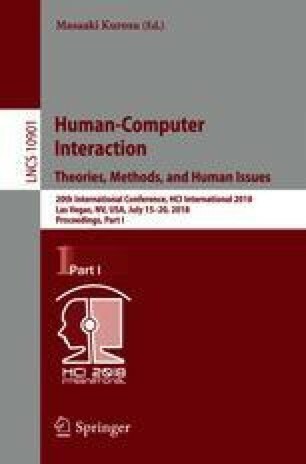 In more particular terms this paper (1) describes how this proposed method adds to this current body of research in HCI, (2) it presents a model for doing material-centered interaction design, and (3) it outlines some methodological implications for the development of a method for the design of IoT systems. Finally, this paper introduces an empirical case to serve as a demonstration of the need for such methods in practice as to address IoT, and as to push the design of IoT systems forward.